I've had one of those weeks where the wheels have fallen off the cart quite a few times so to speak. Just one of those crazy busy weeks, I guess. I am sure it's quite common with that "running a small business from home and looking after young children" combo. Actually, just one of those things by itself is enough to make that happen. Would you agree? It was the week for 4 years old's to face plant into the cement on halloween, doctors visits, x-rays, a poorly feeling mummy and diving through the washing machine for swimmers because apparently its swimming at school today mummy; Offcourse it is!. Lucky, I like using a little elbow grease to wind down. Seriously, funiture revamps and some kind of physical work out is how I keep sane. I also just love the opportunity to style something in my own way! 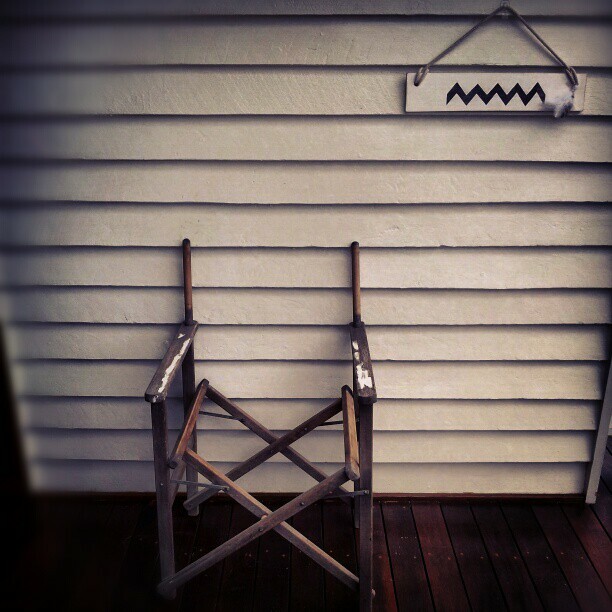 Giving old things like this deck chair a new lease on life makes me very happy. Right now, I am loving them painted white and revamped with beautiful textures or fabrics. 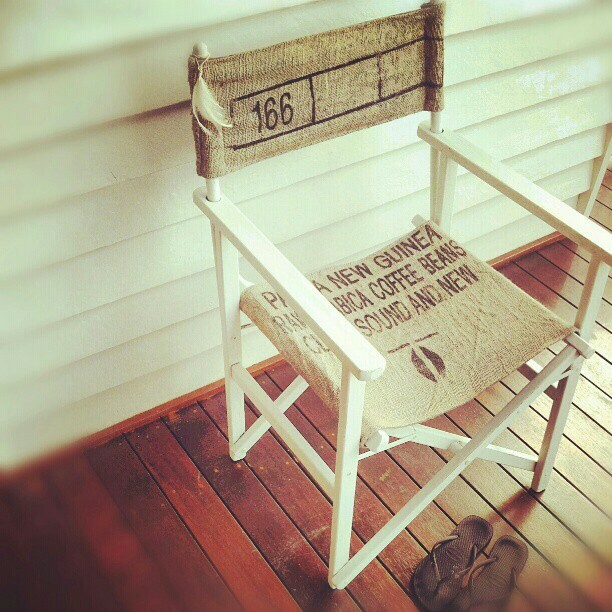 This is one is revamped from a recycled coffee bean bag. I do love a Reverse Garbage purchase! Oh how I miss Reverse Garbage! And darling that chair is super classy now! Well done...wish I got rid of stress by using elbow grease..instead of laying horizontal! The chair looks amazing - you did a great job! That's a really cute idea. Great work! Thanks so much Kylie, have to say was loads of fun to do. Love your new blog makeover!! !